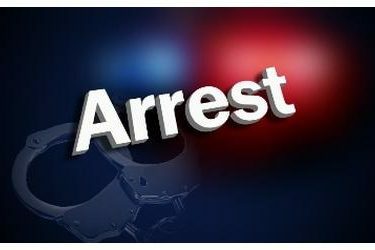 On Wednesday, October 10, 2018 at about 3:23 a.m., officers responded to Gorditas to Go, 701 S. Kansas Avenue, for a burglary alarm. Responding officers found a damaged door at the business. No one was located inside. Additional officers began checking area businesses. Officers found Jerry’s Headquarters, 826.5 S. Kansas Avenue, and Carniceria El Grande, 826 S. Kansas Avenue, had both been forcibly entered. Officers heard someone inside Carniceria El Grande and quickly set up a perimeter. After about an hour, the suspect, a 21 year old male, came out of Carniceria El Grande at the direction of officers. He was taken into custody without further incident. Suspected marijuana was found during a search incident to the arrest. The suspect was transported to Southwest Medical Center where he was treated and released for a wound to his hand. He was subsequently taken to Seward County Jail. Investigators will be submitting affidavits to the Seward County Attorney’s Office seeking charges of burglary, theft, criminal damage, possession of marijuana, and possession of drug paraphernalia.